End-to-end encryption is when your service provider doesn’t keep copies of the messages you send on their servers, i.e., only the people you are communicating with can access the message. Nobody in between, neither the government nor the developers can access it. 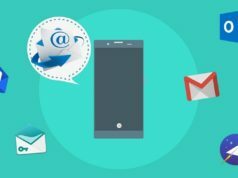 So, if confidentiality is critical for your communication, then check out this list of some best encrypted messaging apps for Android and iOS platforms. 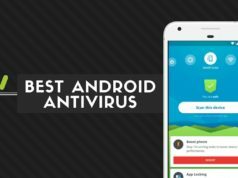 These apps are safe to download and provides utmost security to your data. 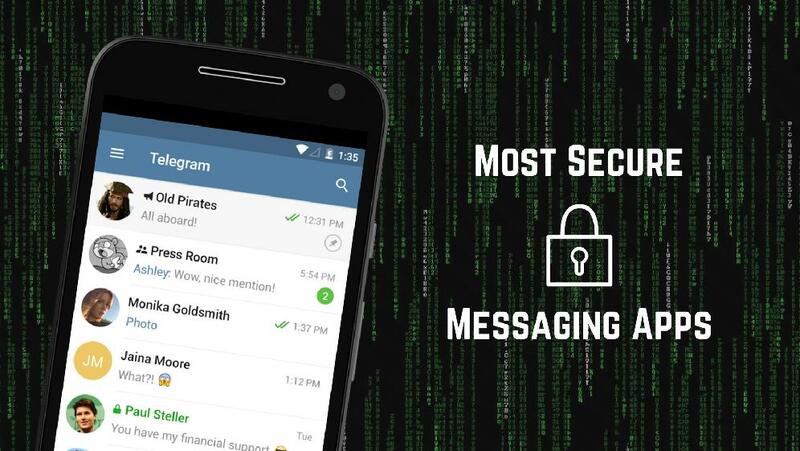 Note: This list isn’t in an order of preference; it’s a compilation of the best Android encrypted messaging apps. You’re advised to choose one as per your need. Being one of the few apps to claim an endorsement from Edward Snowden, Signal Private Messenger has made a place among the most secure messaging apps for Android and iOS users. It uses an advanced end-to-end encryption to secure all the messages shared with other Signal users. Signal Private Messenger is entirely free and is quite easy to use. The best thing about the app is that it is open source. Hence, the experts can freely inspect the app’s code for any flaws in its security. There are other features like highly encrypted voice calls, group chats, media transfer, archive functionality; and all these do not require any PIN codes or other login credentials. Also, the messages can self-destruct after a set amount of time. Moreover, you can also use the app on your computer with its new Chrome browser plugin. The app is excellent to use and worth a try. Download it for Android and iOS. Telegram connects people around the globe through a unique network of data centers. It is known to provide the best security, which never gives any third-party access to your data. When a user enables “secrets chats” function, the messages can self-destruct automatically across all the devices involved. Also, if you prefer, you can set an option for self-destructing of your account within a set time. With Telegram, you can easily sync your messages across various devices at once. The app carries all the essential features, such as sending media files, videos, documents of any type ( .DOC, .MP3, .ZIP, etc. ), or set up bots for specific tasks. It has a very minimalistic interface that makes the app quite handy to use. Moreover, this encrypted text app is entirely free. It doesn’t display any ads and does not include any subscription fees. Get it for Android and iOS. With over a million downloads, Threema is one of the most trusted secure messaging app for Android, iOS, and Windows phone. The app is a paid one which costs US$ 2.99. It packs all the necessary features to keep your data out of government, corporation and hacker’s hands. The app does not ask for an email ID or phone number while registering. 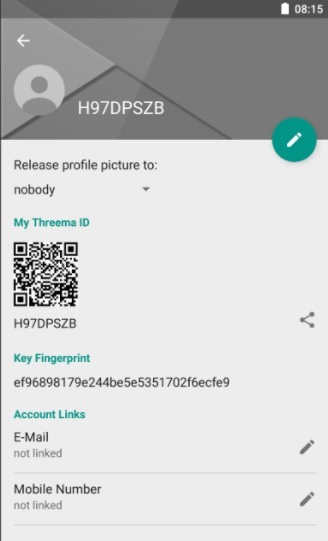 Instead, it provides you a unique Threema ID. 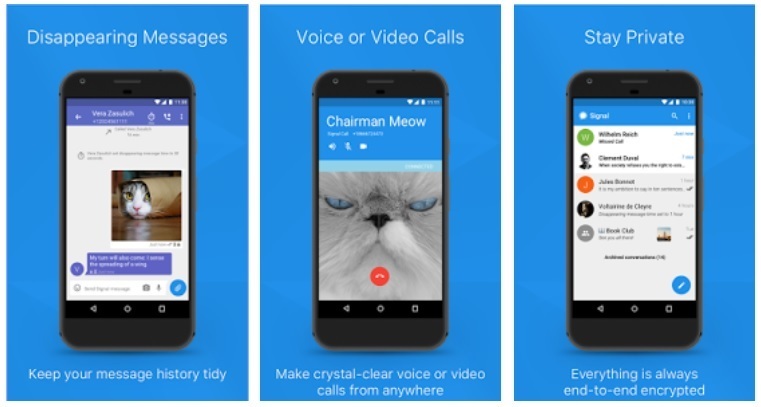 In addition to text messages, Threema allows end-to-end encryption for voice calls, group chats, files and even status messages. Messages sent from the app are immediately deleted from the servers, once they are delivered. Threema uses the trusted open source Networking and Cryptography library(NaCl) to protect your communication. With Threema web, you can also use the app from your desktop. 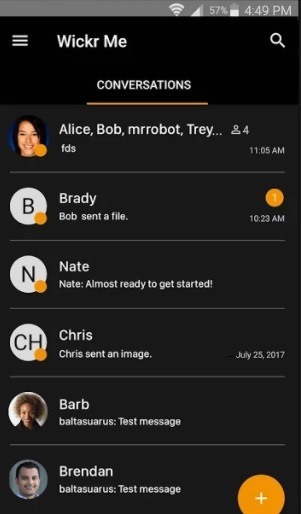 Wickr Me is another impressive encrypted messaging app for Android as well as iOS. It encrypts every message using advanced vetted end-to-end encryption. You can send private, self-destructing messages, photos, videos, and voice messages to other Wickr users. The app has introduced a “Shredder” feature that irreversibly deletes all your chats, shared media contents from your device. 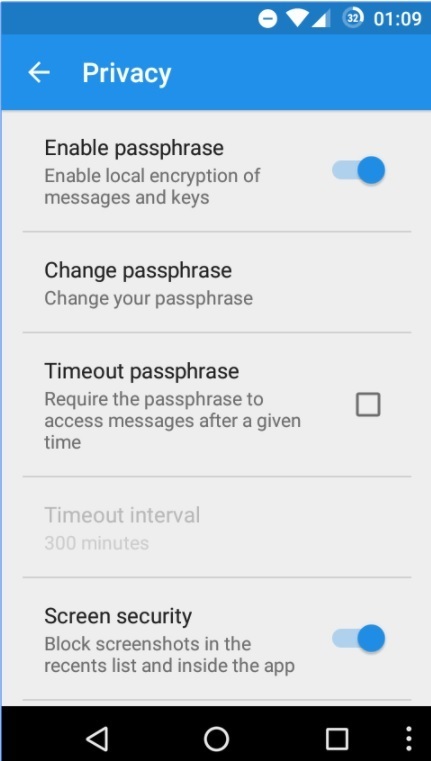 You can even set “Expiration Timer” to your messages. Wickr requires no phone number or email address while registering, and it does not store any metadata associated with your communication. In addition to all these trustworthy features, this secure texting app is entirely free to use, and it does not display any ads. Get it on Android and iOS platforms. Formerly known as SMS Secure, Silence is a remarkable end-to-end encrypted messaging app for your smartphone. It uses Axolotl encryption protection to provide end-to-end encryption to other Silence users. If the other party does not have the app installed, you can still communicate with it like a regular SMS application. Silence work like an ordinary SMS application, so it requires no server or internet connection on your phone. You do not need to register or sign-up with any login credentials. Moreover, the app is free and is open source, i.e., It enables anyone to verify that its code is free of vulnerabilities or flaws. Viber is a cross-platform encrypted messaging app which was initially available on the iPhone. The app is similar to Skype. 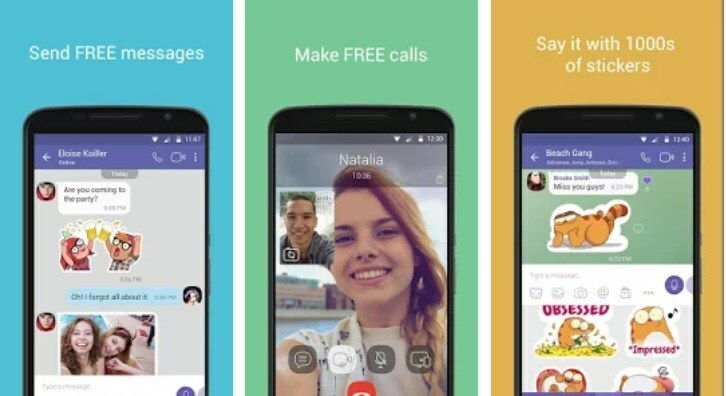 Viber first appeared on Android platform in 2012, followed by BlackBerry and Windows phone. In their latest encryption technology, Viber has introduced the end-to-end encryption service on all the available platforms- Mac, PC, iOS, and Android. The unique thing about Viber is that it uses a color-coded system to show how protected a conversation is. Grey color denotes encrypted communication. Green signifies encrypted communication with trusted contact and red means that there is an issue with the authentication key. 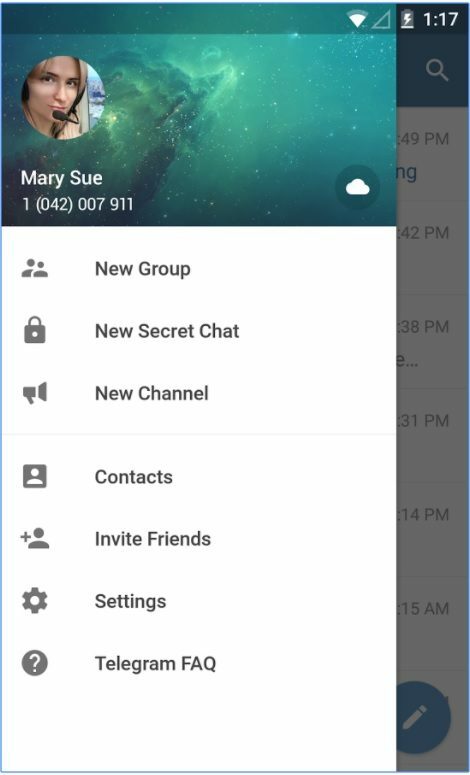 You can also choose to hide any specific chats from your screen and access them later. Apart from being a highly secure messaging app, it also provides you the facility to play games, follow public accounts, share your contacts, media files, turn on location and much more. It has over 800 million users worldwide, and it is free to download. This application is built with complete security in mind. 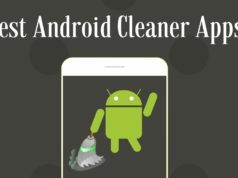 The app was formerly known as Cyber-Dust. Dust conversations are heavily encrypted, and it offers end-to-end encryption to other users. Dust does not store messages in any permanent storage, and you can even set your conversations to erase immediately after the recipient reads them. The app has disabled the possibility of taking screenshots of your messages. It automatically detects and notifies you if somebody takes a screenshot, which makes it one of the most secure messaging apps around. 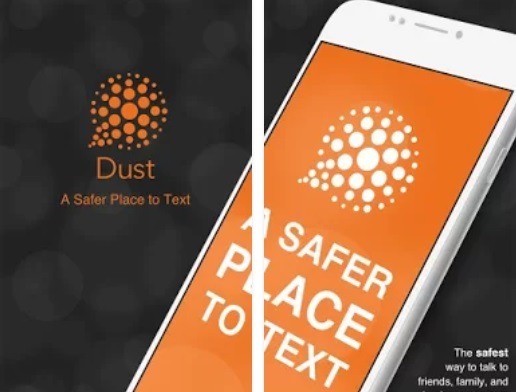 Moreover, Dust is also a social media platform, and it lets you follow people, send and receive text messages, stickers, links, videos and more. It is free to download. 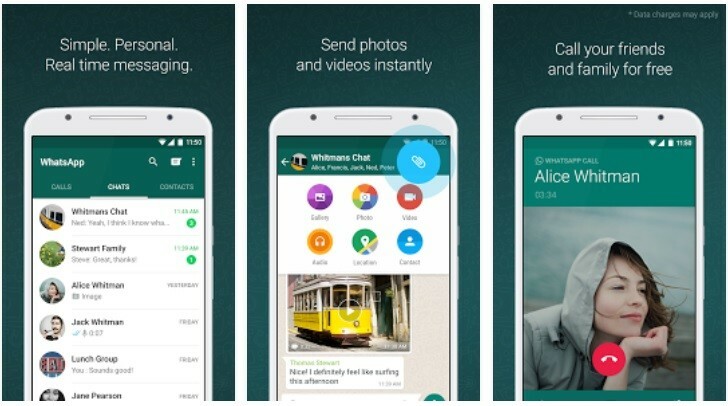 WhatsApp is one of the most popular and secure messaging apps for Android and iOS which is trusted by over 1 billion users. In 2014, the app partnered with Open Whisper Systems, to integrate the same end-to-end encrypted chat protocol as Signal. Its encryption technique ensures that only the sender and the receiver can read the messages, and nobody else, not even WhatsApp. Also, the app comes with all kinds of amazing features like the ability to send voice messages, photos, videos, GIFs, video calls, group chats, location sharing and much more. It has a simple and user-friendly interface which is very easy to handle. With the “WhatsApp Web” feature, you can also send and receive messages from your computer’s browser. The app is free to download and is ad-free. Apart from the above-mentioned secure texting apps, there are a few more as well. Wire is a notable application that provides end-to-end encryption for all your communications. Facebook Messenger and Apple’s iMessage too provide encryption but they’ve faced flak from the researchers in the past. Did you like this list of best encrypted messaging apps for Android to be helpful? Share your reviews in the comments below.